It’s hard to think today what life was like before the Internet came along. Some of us remember the days before it, but most young folks coming of age now probably have no idea about life is like without the ‘Net. To say it’s been revolutionary on society is an understatement. The Internet has changed our lives. Period. Like any new modern technological advancement, the Internet has garnered both praise and criticism. People who like it say it has made communication cheaper and faster; those that don’t like it say it has made people lazy, isolated, and unintelligent. While these ideas are up for debate, it has made severe changes on the way we do business. Ask people that worked in paper publishing, telegram services, or music production and they might say angrier things about it. But let’s get serious: The Internet is, if nothing else to its critics, a tool for independent business pros. All of it. Those that choose not to embrace it put themselves in a severe disadvantage in not making it part of their business success. One area that is often overlooked is social media. You’ve heard of the popular online outlets – Facebook, Twitter, Blogger, and the like. These are often seen as places where friends can chat, post fun photos, and trade a bit of gossip. Fun activities to be sure, but not something of interest for business types, right? But in fact this isn’t true. Social media can be integrated into your business as a great way to bring people to your business. Since people are communicating through social media constantly, your business can become a part of others’ communication and generate more potential client interest. But if you want to use social media, you have to have a plan of action to do so. Creating social media pages or blog spaces are the first stages of using social media for your business and usually the most fun. It’s almost like building a website but without the associated costs. Most social media sites can allow you open your own spaces free of charge, post pictures and graphics, and write updates free of charge. When creating social media pages, make them attractive and pleasing to the eye, but don’t forget to keep focused on the products you’re advertising and be sure to link them all to your company’s website in order to see what activity they have incurred. There’s a common adage now that a dead blog is one that is not updated. This is fairly true, and especially for professionals using social media. If you want to use social media sites for business generation, update it regularly, like you would your website – i.e. once a week or biweekly. If it stays stagnant too long, clients loose vital information about your business – new releases, discounts, etc. – along with general interest in it altogether. If you use social media, update it regularly. More than anything, social media can be a fun way to interact with clients. They can voice approval of products/services they enjoy, such as the “like” function on Facebook, leave comments for you to read, and make suggestions that you can receive quickly and directly. Always choose social media sites that allow this sort of client-professional discourse to take place. It’s an informal but helpful way to keep in touch with your clients and them with you. One matter should be understood however and that’s staying professional. If you use social media, there might be some clients or online browsers that use your social media pages to post material that is less than appropriate. Don’t break face in your professional demeanor in this case. Treat your social media sites with the same professional skills that you would with your products or websites. Other people can talk shop or post insulting jibes, but you should not. If you think of major companies today, be they breweries, sporting goods outlets, or engineering firms, they almost all employ some sort of social media for their business. These businesses understand the value of using social media for business purposes: it’s a fun, cheap, and easy to access for everyone. Do the same and create another avenue for your business to grow on the grand online terrain. 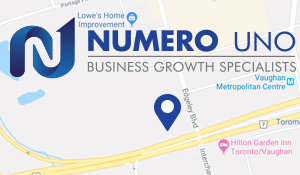 To get more help on all your SEO and web traffic needs, e-mail Numero Uno Web Solutions Inc. at info@numerounoweb.com.